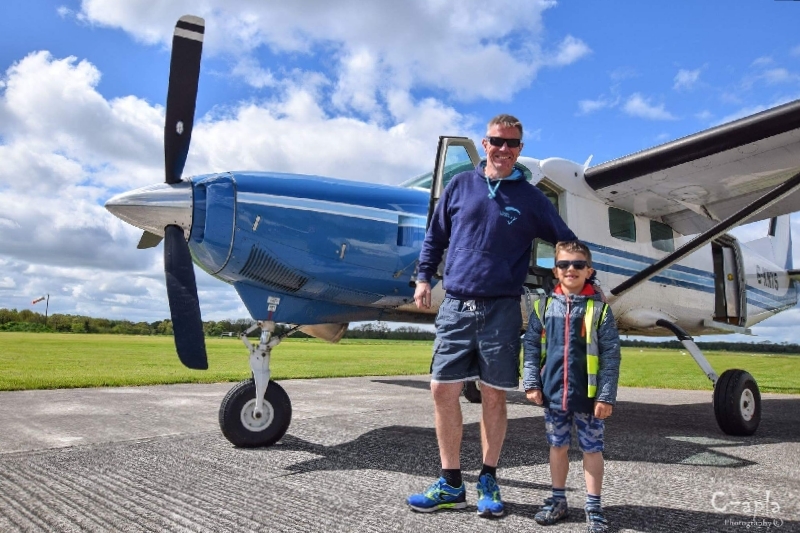 We are heartbroken by the loss of two cherished members of our family at the Irish Parachute Club, little Kacper, son of our dear friend and fellow skydiver Kris, and Billy, a true gentlemen and a thoughtful and great pilot. This is a difficult time for us all. I know that our skydiving family and the wider community want to come together and do what we can to support the families affected by this tragic accident. I myself have a son the same age as Kacper who loves planes. Having met Kacper at the club I know he was such a beautiful boy who would touch anyone’s heart. Please everyone let’s support their families at this tragic time. Every donation counts, no amount is too small or too big. Let’s show these families what they mean to us all. Please feel free to share this gofundme page with all your family and friends. The funds kindly donated by you have finally been received from Go Fundme, and successfully passed on to the families of Kacper and Neil (Billy). Thank you very much for your generosity and compassion - while no amount of money will ever fix what happened, it has helped take some pressure off the grieving families. Once again, thank you and blue skies! Thank you all very much for your kind donations for the families of Billy and Kacper, who were tragically lost to us recently. Many people have asked me why the families and funeral directors have not yet received the donations that you made to them. The problem lies with Go FundMe, who appear to have issues with their platform, as well as basic communication issues. Please rest assured that I am devoting all my time to resolving this issue satisfactorily for all concerned, and will update you as soon as Go FundMe reply to my update requests.